Your mouth is the gateway to the rest of your body – what goes in affects your entire physical wellbeing! For that reason, when you have teeth or gum problems, the problem doesn’t stay isolated for long. In fact, there have been some scary health discoveries that links gum disease to serious illnesses like heart disease and diabetes, and which may increase your risk of suffering a stroke (source: NHS). With health debates surrounding the use of fluoride in water and dental products, and a general shift towards natural wellbeing, beauty and hygiene products overall, we’ve looked into natural ways you can maintain your oral health. Check out our tips for taking care of your teeth and gums that won’t negatively impact the rest of your body. From the moment children get their very first tooth, teeth should be brushed (at least) twice per day, for two minutes each time. This is vital to remove daily buildup of plaque and tartar. Problem areas that people often miss when brushing include the gum line, behind the teeth and the far back molars. Get a toothbrush timer to encourage kids to brush for the allotted time. There are even handy YouTube videos that you can follow along with for a healthy brushing technique. Flossing is often seen as a time-consuming chore, but it’s essential for maintaining good oral health. Dentists bemoan patients who neglect to floss and blame it on there being no instant gratification involved – people think it doesn’t achieve anything. However, that couldn’t be further from the truth! Flossing constitutes about 40% of the entire job of removing sticky plaque from your teeth. Toothbrushes, even fancy electric ones, can’t reach in the tiny gaps between teeth. Plaque between teeth must be removed as it contains acid which erodes enamel and inflames gums, which can lead to gum disease. 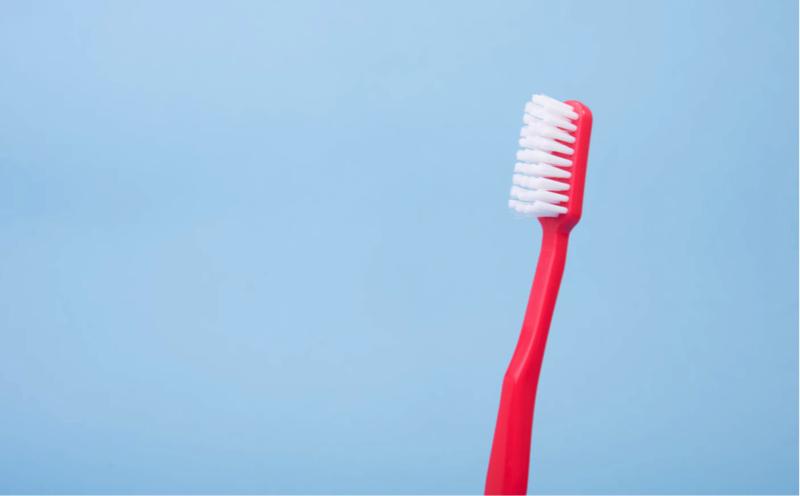 In recent years there’s been a debate about the safety of ingesting fluoride, a natural mineral added to most toothpastes. However, dental experts like Colgate say fluoride is highly beneficial to oral health in small doses, like those found in toothpastes. Still, some prefer to avoid it, and there is an alternative. Activated charcoal toothpastelooks scary – the black paste fills your mouth with blackish grey foam – but it washes away to reveal pearly white, healthy teeth! It’s claimed to balance oral PH levels, eradicating mouth conditions, bad breath and yellow teeth. It’s natural and safe for the entire family, and can be picked up cheaply from health stores, supermarkets and Amazon. It’s just as important to brush or scrape your tongue as your teeth and gums. Stainless steel tongue scrapers are recommended, as they’re very easy to clean. Cleaning your tongue removes bacteria buildup from the mouth and keeps breath fresh. Scrape from back to front. Be gentle when tongue scraping! Turmeric is an antibacterial superfood, revered in worldwide medicine for its healing properties. To harness its great properties for your teeth and gums, mix a small teaspoon with water to form a paste, using the mixture to brush your teeth a couple of times per week. This is said to control plaque levels and keep gingivitis (a mild form of gum disease) at bay. As we know, the process of tooth decay begins with eating sugary foods. Sugar, or sucrose, energizes the bacteria living in your mouth, fueling them to multiply and produce harmful acids that erodes tooth enamel. This eventually causes tooth decay and cavities. Now: xylitol is a natural sweetener that originates in plants. It doesn’t break down like normal sugar in the mouth, keeping a natural PH balance. Its key ability is that it prevents bacteria from attaching to your teeth, thus preventing it from damaging your pearly whites. Therefore, chewing xylitol gum helps to neutralize bacteria that entered the mouth in other foods. Chew this gum after food to help rid your mouth of harmful bacteria and acid. Safety note: keep xylitol products far away from dogs – even small amounts can be lethal to canine friends.